We offer classes for every level, and each class is capped at 12 people so everyone can get the individual attention they need. All classes are first-come, first-served, so please show up 10-15 minutes early. New members will participate in our Elements Programming with a CrossFit Torrent coach. 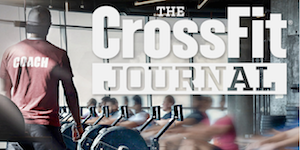 This is a personal one on one explanation of CrossFit and the movements that you will be doing during the classes. The coaches will ensure that you are comfortable with all movements prior to starting your first month of CrossFit classes.